If you’ve been thinking about trying a natural substance that can help with various health issues that you might experience or if you want to try taking something that can help with everyday preventative measures, then consider fish oil. You can shop for fish oils online that come in containers of various sizes depending on how much you need. 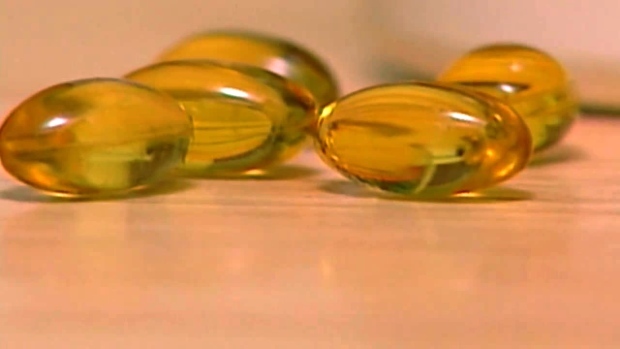 Until you learn more about how fish oil can benefit your body and how it will react with other medications or products you’re taking, you should start with a small amount. Fish oil, as the name implies, is oil that is retrieved from the tissues of fish with tuna and mackerel being the most common that are used. If you don’t eat a lot of fish during the week, you can take fish oil supplements that often come in the form of capsules. The oil is beneficial for your heart health. It can help to lower cholesterol while preventing plaques that build in your arteries that can lead to a heart attack and other issues with your heart. Fish oil can aid in lowering your blood pressure. Since your brain is made up of a large amount of fat, fish oil can often help with your overall mental health. Most of the fat in your brain comes from omega-3 fatty acids, which is what is often found in fish oil. Some of the symptoms associated with bipolar disorder and depression can be reduced by taking fish oil supplements. If you have struggled with weight loss or have a few extra inches around your waist that you want to lose, then consider fish oil. When you take fish oil, it can usually improve your metabolism levels and change the composition of the body so that you burn fat faster, resulting in weight loss. A proper diet and exercise are beneficial as well along with the fish oil for optimal weight loss. As you get older, your bones begin to deteriorate. When there is a lack of the essential minerals in your bones, then you could develop osteoarthritis and other conditions pertaining to your skeletal system as well as your joints. The fatty acids in fish oil can often increase the omega-3 in your body, which can lead to better bone health. The oil can also help to keep the joints lubricated, which can reduce some of the symptoms that you notice with arthritis. Fish oil can help with inflammation in other areas of the body as well. The oil aids with chronic inflammation a bit more than it does with an acute onset of inflammation as the fish oil has a chance to get into the body systems over time. When the levels of inflammation are reduced, then you can begin to see pain levels decrease as well. As pain levels decrease from a lack of inflammation, your blood pressure can begin to decrease as well. If you have a lot of inflammation in your body, then you might notice that your bowels are irregular. Once the inflammation is under control, then you will likely begin seeing a difference in your bowel system, which is beneficial for those who work outside of the home or those who are unable to eat a lot of food during the day. Many people have heard that carrots are good for your eye health, but fish oil can be beneficial as well. Your eyes are made up of a substantial amount of omega-3 fatty acids, which is an important component of the overall structure of your eye. When there is an increase in omega-3 fatty acids in your body, such as what you would get from fish oil, then you can sometimes see an improvement in your vision. No Comments on "Benefits Of Fish Oil"